Sometimes late morning meals on weekends are hearty and greasy with the purpose of glossing over the previous evening’s over-indulgences. 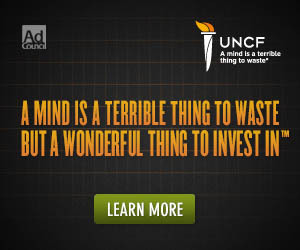 Other times, mid-mornings call for something more sophisticated. Brunch, the luxury of a leisurely Sunday morning, is designed to wake us slowly and ease us into the day, and among the exposed concrete beams, hardwoods, and bricks at Amis, Chef Marc Vetri serves simple yet refined brunch fare that goes far beyond eggs and bacon. A glass of freshly squeezed tart blood orange juice ($6) and the Frascati Wine Cheese ($9) were an auspicious start. With the luscious feel of whipped butter, the cheese was funky, tangy, and topped with supple strips of pink shallots. It beckoned from a golden pool of wine, begging to be lapped up with the accompanying salt-speckled sesame crackers, and, eventually, your fingers. The Egg Salad Bruschetta ($8) — because brunch isn’t brunch without eggs – smeared thick, sweet and creamy over the accompanying slices of crusty bread. Mild hunks of egg whites and yolks were elevated by smoky charred scallions, though perhaps slightly overshadowed by the rich sesame flavor of the bread’s crust. Eggs also feature in the Jersey Cannonball ($10), a gloriously messy sandwich which oozed its sunny-side up egg, slices of pork roll, melted cheese, and tangy pickled red pepper relish out of a garlic and poppy seed bun. The accompanying salad of bright and bitter arugula would have cut the richness of the sandwich, but it was overwhelmingly salty. Amis’ scrapple (a meatloaf made from pork scraps that is popular among breakfasting Philadelphians, $6) is made in-house, bound in cornmeal, lightly cooked in oil, and sprinkled with fresh herbs. The two generous spice-stippled slices were greaseless and soft within the delicate outer crust. Long chewy al dente noodles entwined silky soft jalapeno pepper squares and crunchy chopped almonds in the Bucatini with Almond Pesto ($16). With no basil in sight, this “pesto” sauce was succulent and rich, with serious peppery heat. Also featured on Amis’ dinner menu, this dish composed of an unexpected combination of ingredients, delights, and surprises. 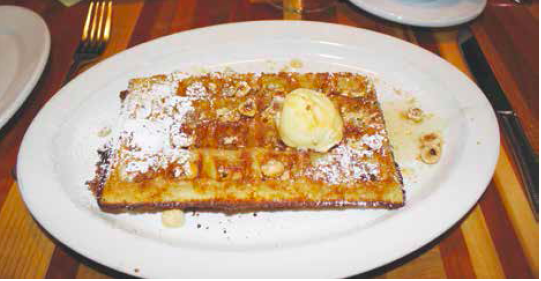 Small and rectangular, the thin Belgian Waffle’s crisp exterior hid within a light and airy center ($12). Already sweetly drizzled with maple syrup and enriched with chopped hazelnuts, it boasted a European flair. An ice-cold sphere of salted butter flavored semifreddo — an Italian dessert similar to ice cream — sat stationary atop, and instead of melting and mixing with the syrup, remained chilled and solid. We could have settled for the waffle as dessert, in fact our waiter suggested we do so, but instead we indulged in Mommom’s Rice Pudding ($8). Juicy and chewy chopped figs and salty crunchy pistachios topped the creamy vanilla laced pudding, the rice within perfectly chewy and sweet. Though thoroughly sated, a classic Tiramisu arrived gratis at our table. Coffee soaked lady fingers cake and creamy mascarpone cheese were layered, cut in a square, dusted with cinnamon, and too tempting to resist. Like the rest of brunch, the Tiramisu didn’t disappoint. Polished and uncomplicated, the food at Amis is as simply stated as the décor, and all the better for it. 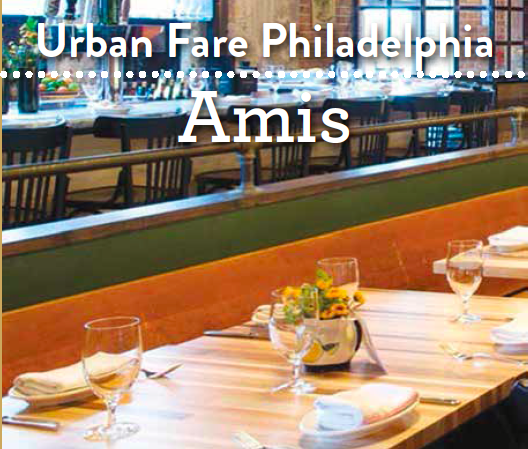 Amis earns 4 out of 5 Keys for its simple refinement and elegant brunch offerings.